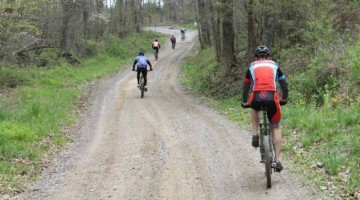 Think you need a gravel bike to win a prominent gravel race? 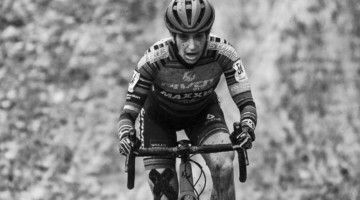 Three of the four winners from last weekend’s big day of racing piloted their cyclocross bikes to high-profile gravel titles. 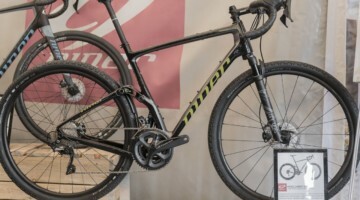 Kaitie Keough and Ted King showed their Cannondale Super-X cyclocross bikes were ready to handle fatter tubeless gravel tires and the 200 miles of Kansas gravel, while Tobin Ortenblad took the very same Santa Cruz Stigmata he raced in Europe to the Lost Sierra to reclaim his 2015 Lost and Found title. 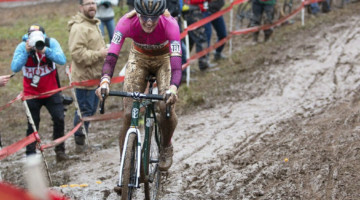 Only Olivia Dillon bucked the trend of winning gravel races on cyclocross bikes. 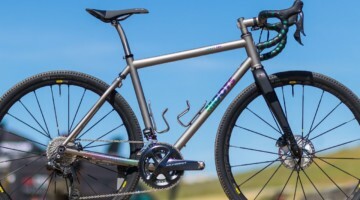 Dillon opted for a Specialized Diverge gravel bike for her 2018 Lost and Found victory. 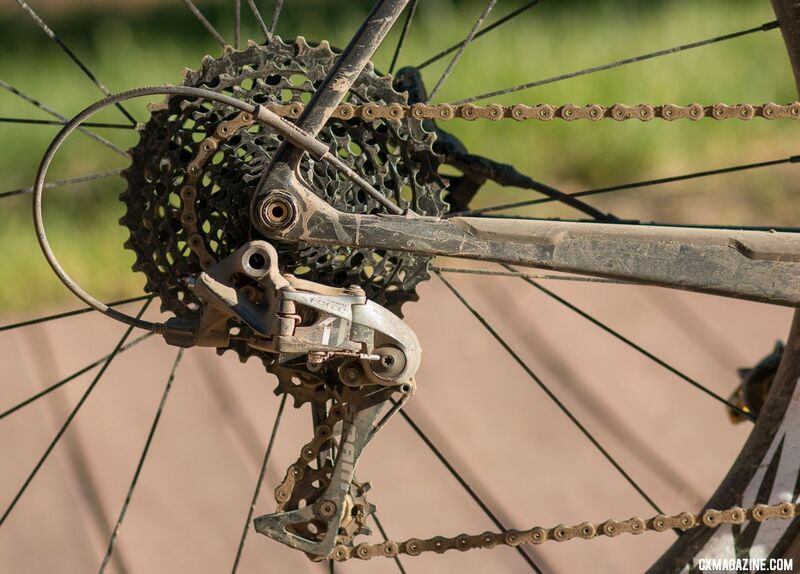 Although we’ve been covering gravel events like Dirty Kanza, Lost and Found and Crusher in the Tushar since as far back as 2008, we’ve often scoffed at the notion that gravel cycling and gravel racing require a dedicated gravel bike, regardless of real or fake sanctions. 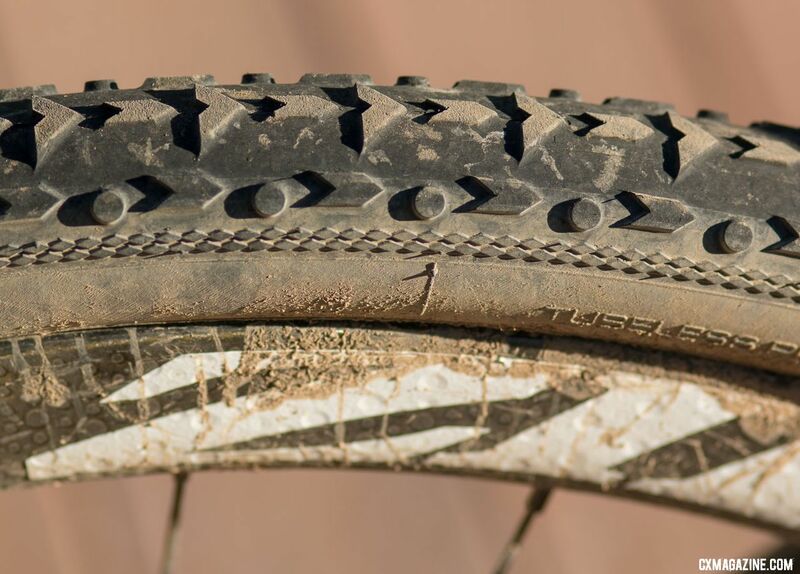 While clearance for bigger tires and lower gearing for extended climbs are often helpful for rougher, longer events, we’ve long encouraged participants not to get hung up in categories, labels or marketing hype. 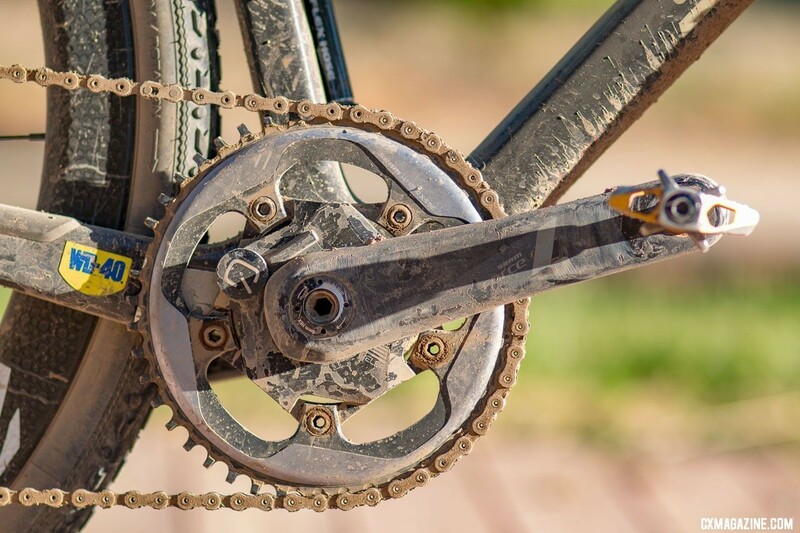 We see gravel bikes with tighter, steeper geometry than cyclocross bikes, and gravel bikes with more stretched-out, relaxed geometry. 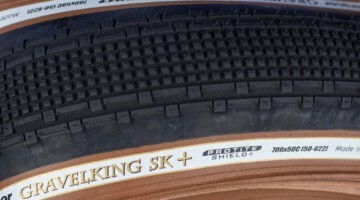 What’s right in between the two? 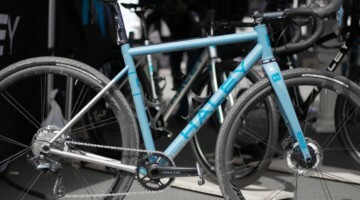 A modern cyclocross bike, which often fits the gravel bill perfectly, as proven by three of last weekend’s winners. 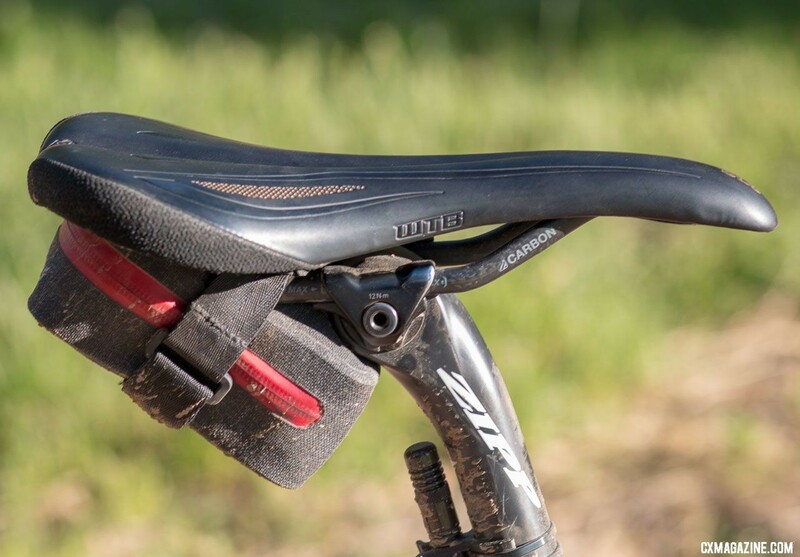 Today we take a close look at the modified Santa Cruz Stigmata cyclocross bike Ortenblad used to conquer the 100-mile Lost and Found route around Lake Davis. 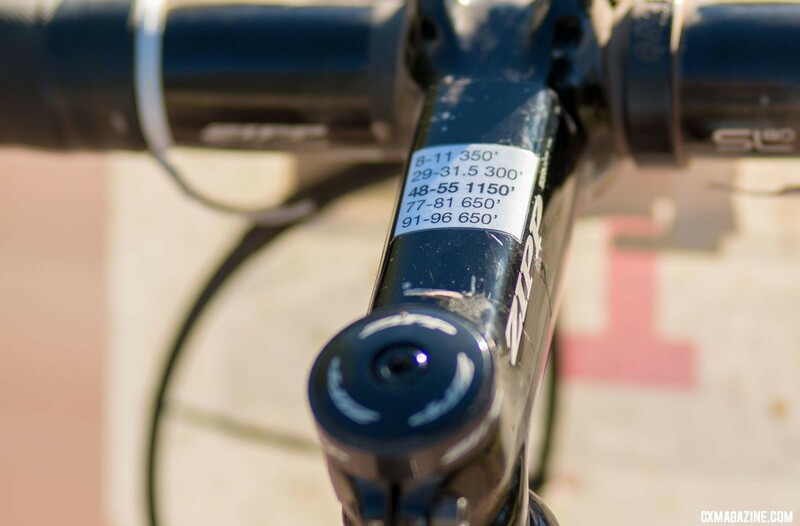 It’s certainly not the first time we’ve profiled Ortenblad’s bike. 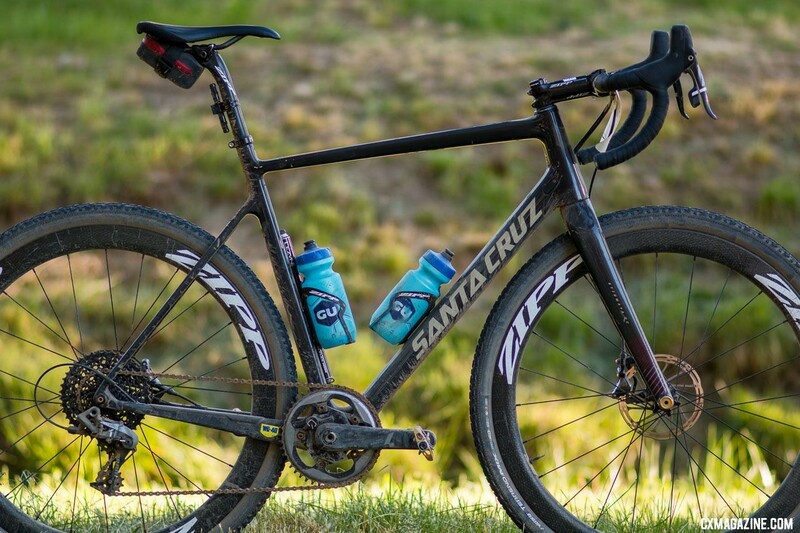 We took a look at his Santa Cruz Stigmata from the Pan American Championships and when it was first unveiled a the Sea Otter Classic. 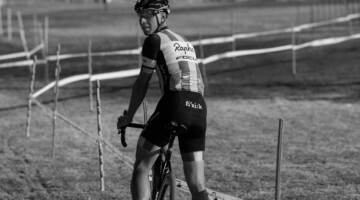 We also inspected his Nationals-winning Specialized Crux from Asheville, and after his first Lost and Found victory in 2015. 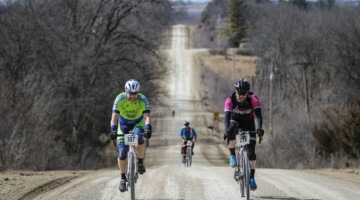 Last Saturday, Ortenblad demonstrated that legs, strategy and patience, not a dedicated gravel bike, were key to winning the Lost and Found. 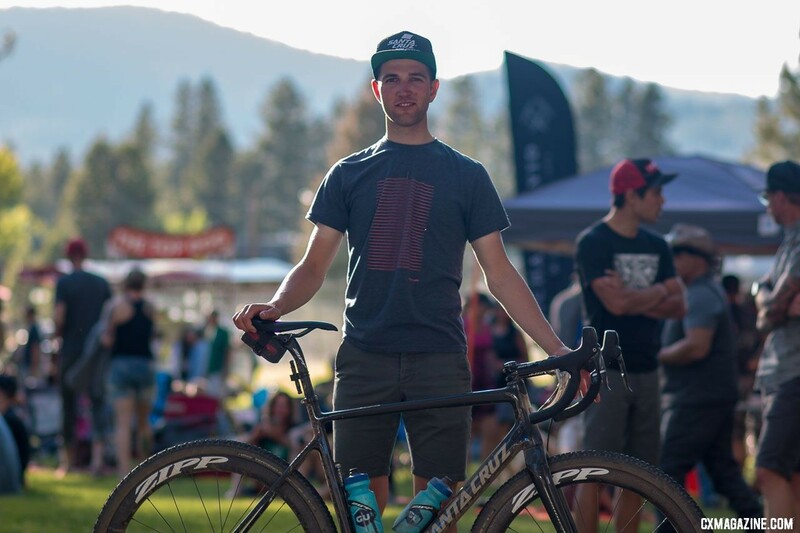 The Santa Cruz-based and sponsored rider swapped out his Zipp 303 tubular cyclocross wheelset for the tubeless version, substituted a pair of 40mm Vittoria Terreno Mix tubeless tires for his 33mm Terreno cyclocross tubulars and picked a SRAM 10-42 XD cassette to pair with his 46t X-Sync wide-narrow ring to handle the long climbs and fast descents of the California Sierra. The result of these mods? 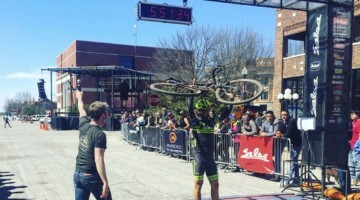 His second win at the Lost and Found gravel grinder. 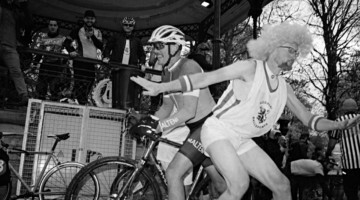 Coming into the event, Ortenblad was encouraged by locals to skip some of these mods and come prepared for fast, pack racing. 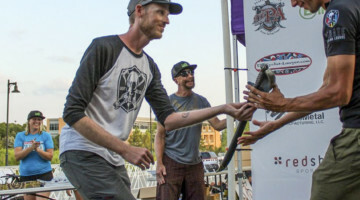 After his win, the winner reflected on the changes he made and the advice he was given. 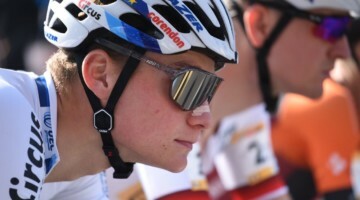 “I could have gone with a more compact cassette, but SRAM makes the 10-42, and it’s the best of both worlds,” Ortenblad explained. 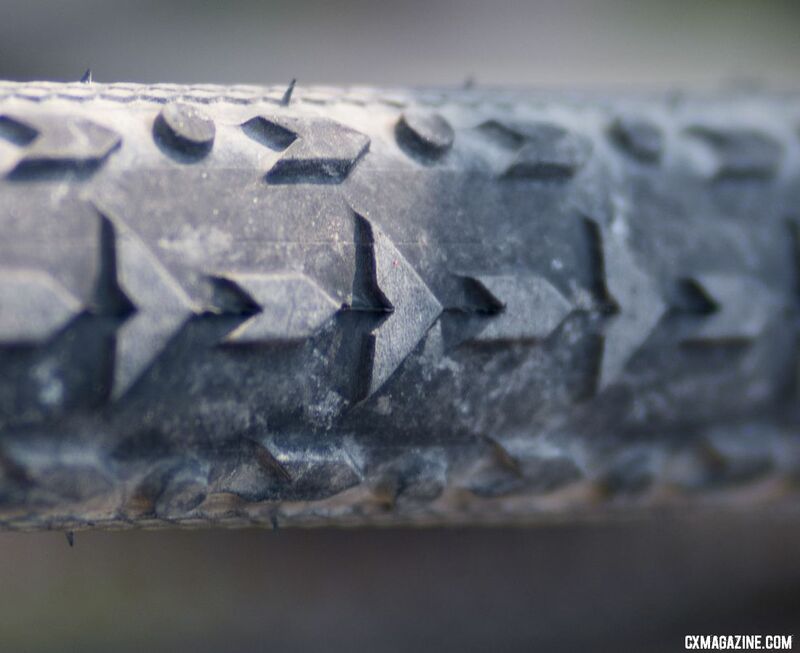 As for his tires, Ortenblad was glad he resisted the pressure to opt for minimal tread. Ortenblad didn’t ignore all the advice he received. 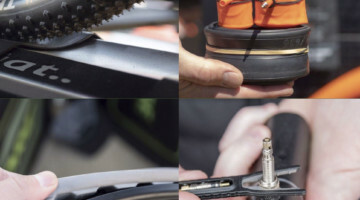 “Usually I’ll run alloy wheels out here, but some of my friends said it was going to be fast, pack riding, so I thought I’d put on a faster wheel.” He reached for the 45mm deep Zipp 303 tubeless wheels for a more aerodynamic profile rim. 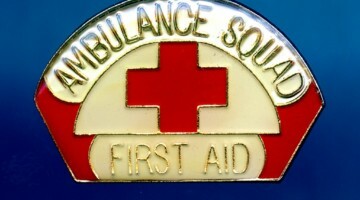 Ortenblad also made sure he was prepared, with both essential survival gear and information. 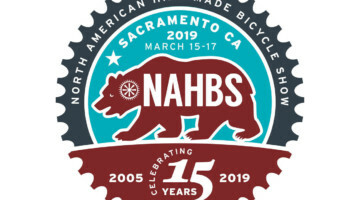 He packed the tools necessary to ensure he wouldn’t be permanently lost in Plumas county should he experience equipment failure, and also equipped his bike with key data to help him plan out his ride. On Saturday, Ortenblad was the man with the plan, and the plan worked.